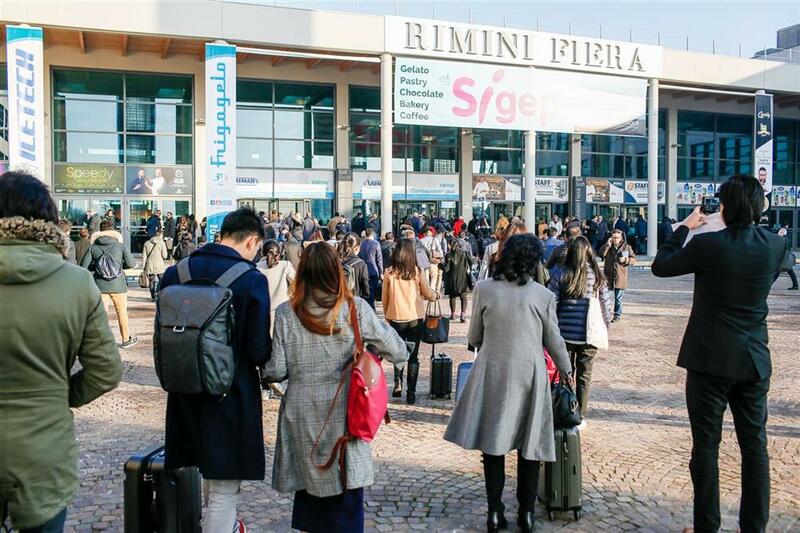 Rimini, 10th December 2018 – Internationality will be the banner of the fortieth edition of SIGEP, with great events and fine-tuned means for promoting business worldwide. SIGEP, the International Trade Show of Artisan Gelato, Pastry and Bakery Production and the Coffee world, organized by Italian Exhibition Group, will be held from 19th to 23rd January 2019 at Rimini expo centre and is ready to celebrate its 40th anniversary with a busy calendar of events, international competitions, conferences and business opportunities for the confectionery sector. From 3rd December the SIGEP platform will be operating, enabling exhibitors to book meetings with foreign buyers. A highly appreciated facility, which offers exhibitors the possibility of viewing in advance the profiles of buyers participating in the expo, enabling them to organize their day of business meetings. Right from the opening of the platform where were opportunities from 64 countries: from South East Asia and the Far East, Europe, Central and South America, North America, Africa and the Middle East, Oceania. Plus, thanks to the participation of ITA Trade Analysts from 10 nations (two areas for the USA, plus Canada, China, South Korea, Japan, Indonesia, Iran, Vietnam and Jordan), desks will be available for in-depth coverage of issues useful for developing business in the areas in question. ITA – Italian Trade Agency has also prepared market researches on the 10 countries selected with IEG, which will be put online and sent via a special link to exhibitors at the beginning of December. As well as all this, there will also be a project with Agenti 321, for a search for business reps with a focus on Germany. The appointment at SIGEP 2019 already has the participation of over twenty countries scheduled (Australia, Brazil, China, Germany, Greece, Italy, Japan, Mexico, Norway, Poland, Romania, Russia, South Korea, Spain, Sweden, Switzerland, Taiwan, Thailand, Turkey, Ukraine, United Kingdom and USA) and is officially included in the calendar of events organized by World Coffee Events. 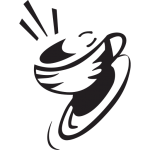 The World Coffee Roasting Championship will be held in Hall D3, with the contests being held from Sunday 20th to Wednesday 23rd January. Contestants will be judged on the basis of their performance, evaluation of the quality of the green coffee (coffee grading), developing a roasting plan that best highlights the desirable characteristics of that coffee and the last cup of roasted coffee. In the countries that are participating, selections are currently being held which will be valid for access to the world championship. Internationality and promising young pastry chefs. There is eager expectation for the fifth edition of the Junior World Pastry Championship, with the best 11 young (under-23) talents competing for a coveted title of extraordinary quality. Contestants are from: Australia, China, Croatia, Philippines, France, India, Italy, Russia, Singapore, Slovenia and Taiwan. In the competing countries, selections are proceeding to choose the participants and in coming months are scheduled in Croatia, the Philippines, France, India and Singapore. The Junior World Pastry Championship, conceived 10 years ago by master pastry chef Roberto Rinaldini, will have “Flight” as its theme and each contestant will have the support of a team to help him show his talent in the seven tests involved. The competition will be staged on the first two days of SIGEP in the Pastry Arena (Hall B5) and the awards ceremony is scheduled for 5:00 pm on Sunday 20th January 2019. Focus on training young talents from all over the world. The new feature in 2019 will be the International Pastry Camp, a valuable opportunity to show the evolution of the pastry schools that are emerging throughout the world. The best young pastry chefs will arrive from seven countries: “pastry stars” of the future who will show their skills in the Pastry Arena, making the world’s typical desserts on Monday 21st January. Another showcase is added to the traditional SIGEP Giovani, scheduled for Wednesday 23rd with the participation of Italian schools, in collaboration with Conpait, Pasticceria Internazionale and CAST Alimenti. As of this year, SIGEP Giovani officially becomes one of the key events of the Pastry Arena calendar. On Monday 21st January, the Pastry Arena will host the selections to form the Italian team that will compete at The Pastry Queen in 2020, access to which is possible by excelling in the three tests foreseen for the selection. On Tuesday 22nd January the Pastry Arena will host the Italian Junior and Senior Pastry Championships. As well as already successful professionals, there will be performances by young talents on the profession’s launching pad. On the gelato front, this year there will be the SIGEP Gelato d’Oro, the competition to select the Italian team that will take part in the ninth Gelato World Cup. The team will be made up of a gelato maker, a pastry chef, a chef and an ice sculptor. In the meantime, the first foreign selections have already been staged for the Gelato World Cup, at which the first four teams were chosen to compete at Rimini Expo Centre in 2020: Mexico, Singapore, Malaysia and Japan. Selections will continue in 2019 until the number of teams reaches 12. In fact, 12 countries will compete for the biennial world gelato title, to follow France, the winner of the last edition of the Gelato World Cup. The coffee and chocolate areas are also fully involved in the high profile International events. “Coffee & Cocoa growing regions” is the name of the project that SIGEP is organizing along with the IILA (Italo-Latin American Institute – the international organization formed by Italy’s and Latin-American countries’ governments), connected with the countries producing these excellent raw materials. Delegations from Colombia, Ecuador, El Salvador, Guatemala, Honduras and Venezuela will be at Rimini Expo Centre with a special exhibition area for coffee in Hall D1 and for chocolate in Hall B3. Lastly, numerous conferences are scheduled for the confectionery sector. “Going global” is the title of the conference that will provide information on the growing German gelato market and future scenarios for gelato parlours. The appointment is for 21st January, 2:30 pm in Neri Room 1 – South Foyer.